die juni blöcke sind fertig. pünktlich zum 1.juni, aber die vorlage war im mai schon online. 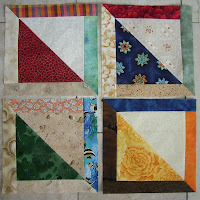 The June blocks are finished. Punctually to the 1. of June, but the pattern was in May already online.